Pringles Snack Stacks Potato Crisps Chips, Flavored Variety Pack (18 Cups) Only $6.16 Shipped! 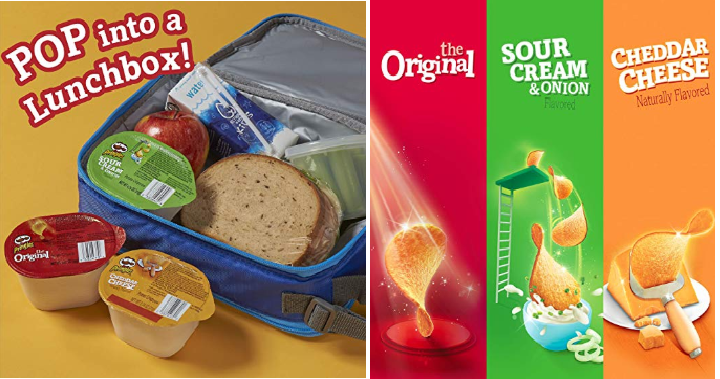 These are so great for lunches or a picnic at the park. Amazon has the Pringles Snack Stacks Potato Crisps Chips, Flavored Variety Pack (18 Cups) for only $6.16 Shipped when you use subscribe and save. Keep in mind, Amazon pricing can change at any time! Don’t wait to purchase this deal or it might be gone when you come back!